Talk about off the beaten path. This has to be one of the most scenic drives to a winery I've ever been on. Talk about off the beaten path. This has to be one of the most scenic drives to a winery I've ever been on. I'm not talking sweeping, panoramic views. Instead the road is shrouded in morning mist, and the oak trees form a tunnel above the pavement and redwood trees touch the sky. The atmosphere is eerily romantic. That Fernwood Cellars is nestled into northern California's Santa Cruz Mountains is an understatement. It sits on the site of a former retreat, at the very end of the historic Redwood Retreat Road in Gilroy, a town more famous for garlic than wine. Arriving at the barn that houses the small Fernwood winemaking operation, you feel you've really gotten away from it all -- and discovered really good wine as a bonus. 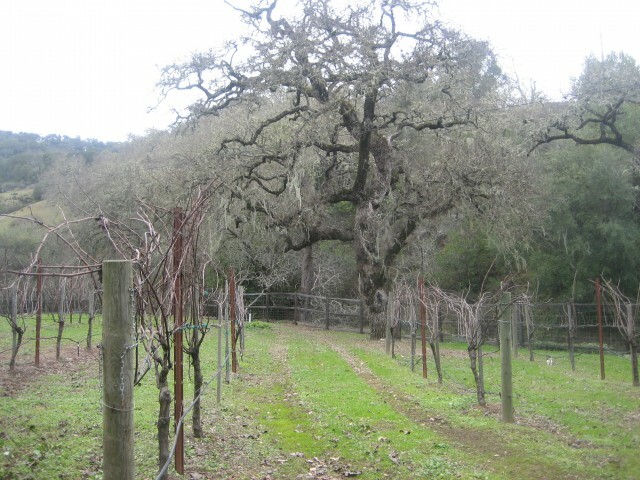 The Fernwood property has been in winemaker Matt Oetinger's mother's family since 1860. His great grandfather homesteaded here and started the Redwood Retreat at the turn of the 20th century. His father, also a winemaker, planted and manages Hummingbird Hill Vineyard in Placerville, CA (and currently sells all of his fruit to Matt for production under the Fernwood label). 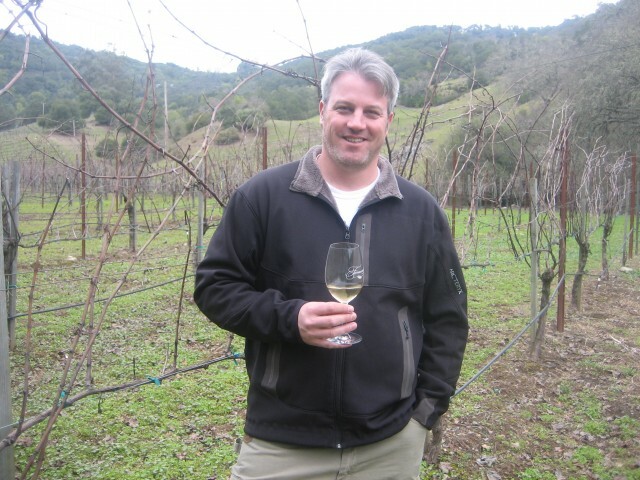 Matt studied at UC Davis and eventually became vineyard manager at a neighboring Santa Cruz Mountains winery. While there Matt nearly quit the business, frustrated that he wasn't producing wine the way he wanted to. An intervention, led by Jeffery Patterson, winemaker at the iconic Mount Eden Vineyards and one of the most famous winemakers in the Santa Cruz Mountains, was the key to Matt's continuing to follow his passion. Clearly Jeffrey and others saw Matt's potential. I'm so glad they did, and once you try his wines, you'll be glad too. That led to the founding of Fernwood Cellars in 1999, when Matt planted the estate vineyards and built the winery. Chardonnay is planted right outside the tasting room; Cabernet Sauvignon, Zinfandel, Syrah and Cabernet Franc are all planted nearby. Fernwood farms sustainably and Matt says his winemaking style is to be as non-invasive as possible. He is driven to make what you could call an honest wine. "This is all I do, this is how I support my family. The brand has to be alive and well in 20 years from now. People look for style consistency," which he says he can provide since he controls all the vineyards. He wants you to know that you're getting a handmade quality bottle of wine every time you pull a Fernwood cork. "Hands on has defined me for the last decade. We deliver a quality wine at a reasonable price. I want to make wines indicative of the varietals they come from." Matt's latest Chardonnay, the 2011 Vanumanutagi Vineyard shows a purity of fruit that's not overblown by butter or oak. It's an elegant, refined style, and importantly to Matt, food friendly. There's great acidity, due in part to the cooling provided by that fog-shrouded growing area. He's also making a little Riesling, which has that lovely petrol-nose that I look for. And if you are lucky, you might get to try Fernwood's late harvest Riesling, a slightly sweet nectar, at the tasting bar. Fernwood is a deeply personal venture for Matt. His love of downhill skiing shows up in Sidecut, a Zinfandel Syrah blend. "If I win the lottery I'll keep the winery but I'll also go be a ski patrol somewhere," he says wistfully. The philosophy behind Sidecut, Matt says, is that "sidecutting makes skiing easier, so my Sidecut makes drinking wine easier." It's fruity nose and soft, lush body, with just a little pepper spice makes the wine highly quaffable. Fernwood's wine club member events are becoming legendary. Matt's devoted to making sure his visitors are taken care of, by hosting unique and fun events. He's held a lobster boil, dinners in the vineyard for 60 people and even his version of Oktoberfest, where you'll find him in full lederhosen attire. While Matt's Syrah is one of my favorite wines that he makes, look for Fernwood's Cabernet Sauvignons, which don't drink like tannic monster. Instead this is a Cab with rich black fruits, tobacco and leather, with a long finish. Matt's inspiration for this wine is what he says was the best wine he's had in his life, a Heitz Martha's Vineyard Cab from about 30 years ago. "That to me if you're making Cabernet is what you strive for."